If you have aquatic life or fish at home, the best way to house them and keep them safe when the warm months come around is, of course, using a fish pond and this article will highlight how to make a homemade pond vacuum. A pond is a nice accessory to have however, it needs to be vacuumed on a regular basis so that the water is kept clean and free of any tree leaves and debris. The best tool to use is a pond vacuum and even though there are many of them on the market, they are not cheap. For those who cannot afford one, the good news is you can make one as long as you have the right tools. Just like many things that are handmade in this world, the key is to get the correct measurement. The first thing you do is to grab the PVC electrical conduct and measure 3 ½ inches from the base and use a pen marker to mark it. After you have left the mark and it is clearly visible, use a saw to cut downwards to take out a ¼ inch shard away from your conduit. After that split the PVC ½ long pipe in two and then apply what is known as PVC primer and glue inside the pipe. Glue is a very tricky product to use and it is important to always follow the instruction to get the best results. 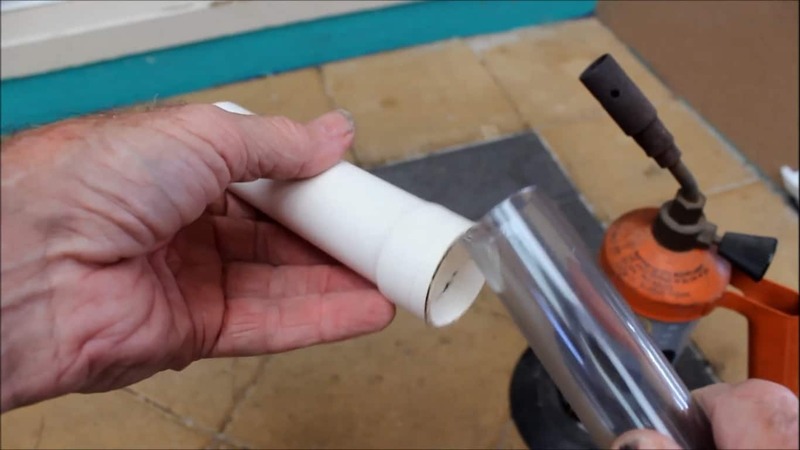 When the glue is applied, grab the ½ inch long PVC pipe and stretch it open and then carefully slip it over one side of the 6-inch diameter, 4 inches long PVC pipe. This allows you to make a collar and when the collar is done grab the ½ inch PVC pipe and then clamp it onto the 6 inch PVC pipe. Sit back and allow the glue to settle. Once you notice that the glue has fully settled, grab the conduit piece and place the cut, flat edge on the PVC pipes. Make sure that the short end of your conduit's base extends about 1 inch past the base of the PVC pipe that's about 4 inches in length. Grab hold of it and take a measurement of a ½ inch below the collar you made earlier. While still holding on to the conduit, from the bottom of the PVC pipe, measure about 2 inches and mark the spot with a marker. Once you have done that, it is time to measure 1 ½ inches up from the base of your PVC pipe then make a dot again with your marker. With a drill in your hand, make holes on each of the spots you marked with the marker. Once you have ensured that everything is tight, grab the 1 ¼ inch cap and put it under the bolts on your conduit carefully making sure that you have space the top of the cap and the base of the bolt. The base of the cap must extend at least 3/10 inch past the base of your 4 inch PVC pipe. After that, you have to trace the top part of your cap, especially where it is touching the pipe. Grab a sharp object and cut the inside part of the trace half circle with a drill that has a 1 ¼ inch bit. Continuing from the point above, once you have sanded down the rough edges on the hole you drilled, you have to push the end of the ¼ inch that you closed into the hole then placing glue and PVC primer on the cap so that it sticks to one place. Make three holes in the center of the cap, 3 along the top and another 3 at the bottom. Try your hardest to angle all the holes upwards if possible then take the 3 inch, 1 ¼ inch PVC connector and place it on the PVC cap. They will fit each other like a glove and you do not have to worry about sticking together with glue. When everything is properly fitted, grab the pool hose and take out the ends that are cuffed using a hand saw. After that, connect the 1 ¼ inch PVC female adapter to every end of your pool hose. Take one end of the hose and place it on the connector that is stuck to the PVC cap then connect the other end of your hose to the pond pump making sure it doesn’t fall apart. Grab the pool pole and connect to the conduit’s end then measure from there to the hole located on the pole where you can attach any cleaning accessories for the pool. Measure the top of conduit angle and mark the spot. When that is successfully done, drill a hole and place the bolt through the pole and conduit. Stick a wing nut and washer on the other side to secure it. The last step is to take the end of the pool leaf bag and place it over the collar located on the 4-inch PVC pipe. If you are wondering what the top of the vacuum is, it is the leaf bag and the PVP pipe that you fitted with the drilled cap makes part of the pond vacuum which you use to run the bottom. To test out the pump, turn it on and put the end in your pond for cleaning. Carefully move the vacuum slowly at the bottom of the pond to clean. Before you begin any DIY projects at home, you have to make sure you have everything you need to carry out the project and this article has pointed out everything you need before you get started. Find a budget pond vacuum is not easy at all because they are very expensive but thanks to this guide, you do not have to hit the internet and break the bank on a pond vacuum. You can just make one yourself which is much cheaper especially if you do not have a lot of money to work with. 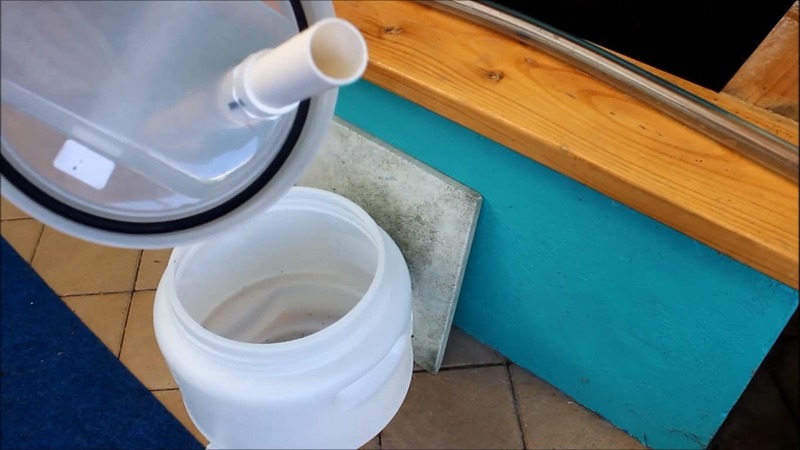 Follow this guide from start to finish and you should have yourself a lovely pond vacuum to be proud plus it is a good way to improve your DIY skills too.